Week #47 of the 52 Weeks of Mail Challenge was inspired by a place I spend 40+ hours in during the week: my dull cubical. I thought this would be a fun gift to share with a fellow cube dweller, so I dreamt up a beach inspired zen garden. 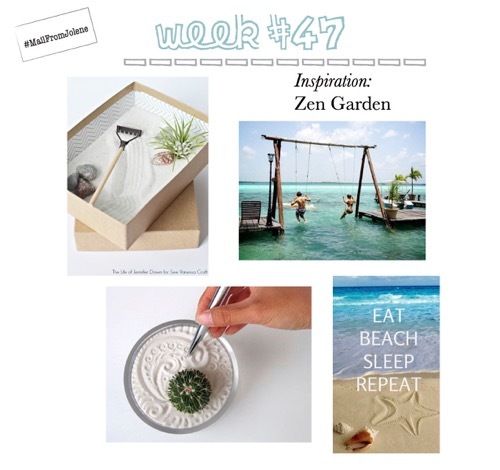 Not sure what a zen garden is? This should help. Be back shortly with my very own beach-y zen garden. In the meantime, here are pins I found for inspiration.